Following the 2015 policy dialogue, we commenced our policy advocacy implementation with a focus on taxation policy reviews and implementation. In response to advocacy sessions carried out in partnership with stakeholders within Nigeria’s entrepreneurship space, FIRS granted an initial 45-day tax amnesty window for all members within the coalition starting in October and ending in Nov 2016. This was extended to Dec 31, 2016 by the Chairman of FIRS in light of time constraint complaints. By the following year, a 9-month Tax Amnesty window called the Voluntary Asset and Income Declaration Scheme (VAIDS) was introduced commencing on July 1, 2017 to March 31, 2018. Also, in 2017, the Revised National Tax Policy (NTP) was approved by the Federal Executive Council (FEC) on February 1, 2017 incorporating about 85% of our policy requests. Tax: FATE is working with NASME and the National Assembly Business Environment Roundtable (NASSBER) on the implementation of the National Tax Policy and other tax related policies. Regulation and Legal: FATE is working with the office of the Hon. Minister of State, Ministry of Industry, Trade and Investment, Hajia Aisha Abubakar on the improvement of regulatory/legal requirements for entrepreneurs. 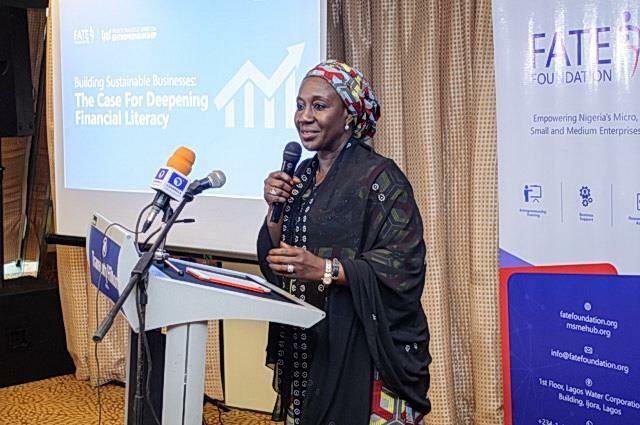 Financial Literacy: FATE is working on the development and Implementation of Financial Literacy Curriculum Guide and dissemination across entrepreneurship stakeholders in Nigeria.